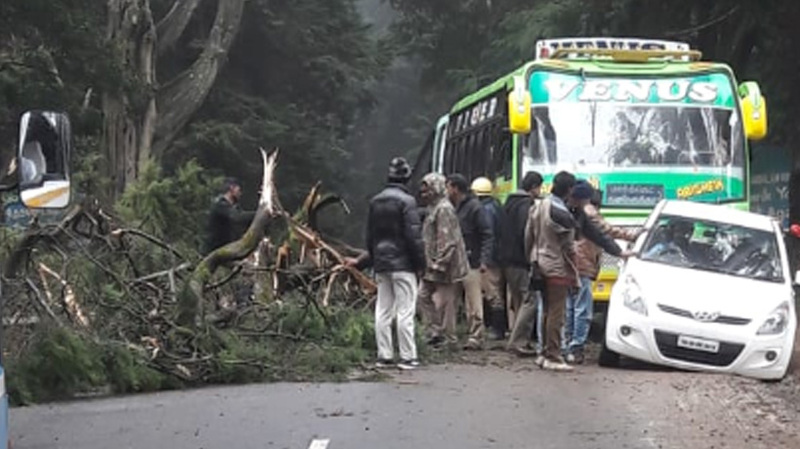 Coimbatore: Traffic was hit on the Ooty-Gudalur Road near Gudalur for more than an hour on Saturday morning after a huge tree fell on the road. Following the continuous downpour in the Ooty region since the last few weeks, there have been several incidents of tree-fall on the road. Fortunately, the tree did not fell on any vehicle. However, vehicle movement along Ooty-Gudalur road was halted for more than an hour. Fire and rescue officials rushed to the spot and cut and removed the tree to restore traffic.